What was the last Australian film you saw? 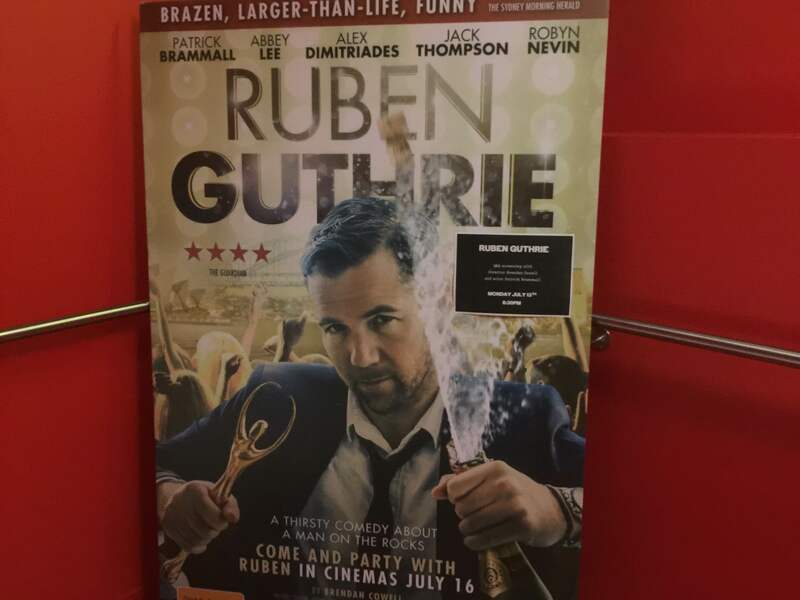 I took myself off to the brand new Lido Cinema in Hawthorn to see an advanced screening of a new Aussie film, Ruben Guthrie, based on the play of the same name. The film stars Patrick Brammall, who you will likely recognise from The Moodys, Upper Middle Bogan, and Glitch, among other things. 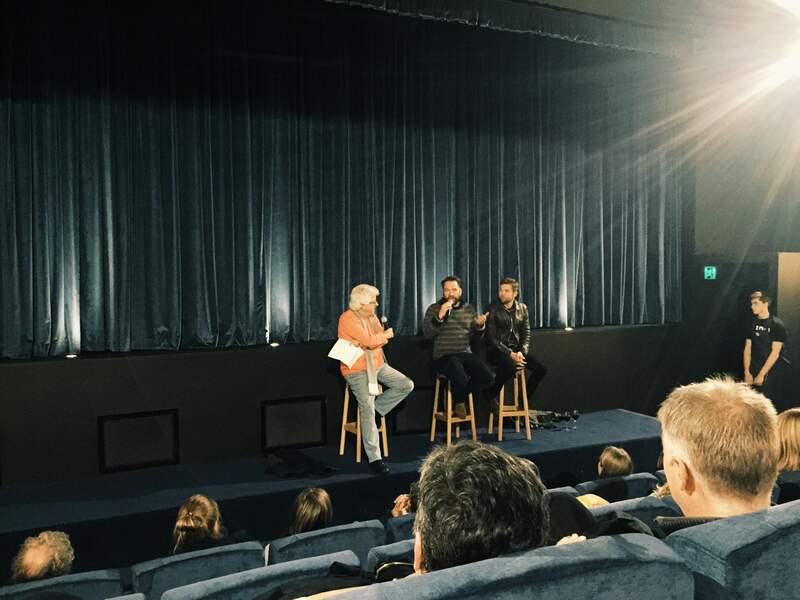 The play and the film were written and directed by writer/actor Brendan Cowell (Love My Way, Beneath Hill 60, I Love You Too) and both he and Patrick joined us at the end for a Q&A session about the film. Ruben Guthrie is the story of a Sydney based advertising creative director who jumps off the roof of his house and into the pool during a celebratory bender, breaks his arm and his supermodel girlfriend leaves him. She tells him that if he can give up alcohol for one year, he can come and find her, but not before. I watched this film through the eyes of someone who also gave up drinking alcohol. It was more for philosophical reasons than forced sobriety due to reckless behaviour, but a lot of the pressures placed on Ruben through his journey were not unfamiliar to me. Ruben’s girlfriend refers to Australia as ‘this alcoholic country’ several times. And whilst it’s a line that got a laugh in the cinema, it also intends to make a point. What we learn through Ruben’s experience is that giving up alcohol in Australia is really, really hard. And not only because of the temptations that are consistently presented to us, but because of the way it makes the people around us feel. Choosing to give something up, and in this case alcohol, means that you unintentionally hold a mirror up to everyone around you and that’s a confronting thing. Ruben gave up alcohol in a work and personal environment positively fuelled by substance abuse, and in a family that chose to sweep their own issues under the rug, or at the very least find alcohol to be both the problem AND the solution. We discussed this idea during the Q&A and I found myself sitting there nodding enthusiastically in agreement. Ruben Guthrie is a semi-autobiographical tale for Brendan, so he knows a thing or two about it. It was nice to hear that someone else had also had the experience of casually declining a drink, then being questioned so explaining that you don’t actually drink, and then having that person immediately justify their own drinking habits. I don’t want to be that sanctimonious ‘Oh I don’t drink’ person so I don’t ask others something I consider to be a personal question, and I’m not judging them for it but more often than not the information is forthcoming whether I asked for it or not. Brendan also noted that when he directed the play, his goal was to make Ruben appear very isolated and alone, whereas in the film he decided that with the added advantage of a camera, he would be able to create a very closed in a claustrophobic environment. I think he actually achieved a sense of ‘trapped loneliness’ through some clever close camera work contrasted with the setting of the large expanse of Ruben’s palatial Sydney waterfront home. There has been some comment about the so-called product placement in the film, and it was really interesting to hear Brendan address the reasons for it. All the brands in the film backed it financially, and he even gave a special shout out to Lexus. The benefits of this were two fold; obviously having corporate money to pick up the slack where our arts grants are shrinking means the movie actually got made. But in a film where your main character is a Cannes Lion winning Creative Director real brands give the authenticity needed for the audience to buy into it. Ruben Guthrie is funny, poignant, and will make you think. It might even make you a little uncomfortable, but you should absolutely see it. I think a lot of Australian films are criminally underrated, and I hope this one gets the attention it deserves. Patrick Brammall is fast becoming my favourite Aussie actor, and his latest work in the ABC series ‘Glitch’ is now definitely on my list of things to check out. The film has a really stellar Australian cast including Alex Dimitriades, Abbey Lee, Robin Nevin and Jack Thompson. The small but completely hilarious appearance of Brenton Thwaites is inspired, particularly if you’ve spend any time working in a big agency. 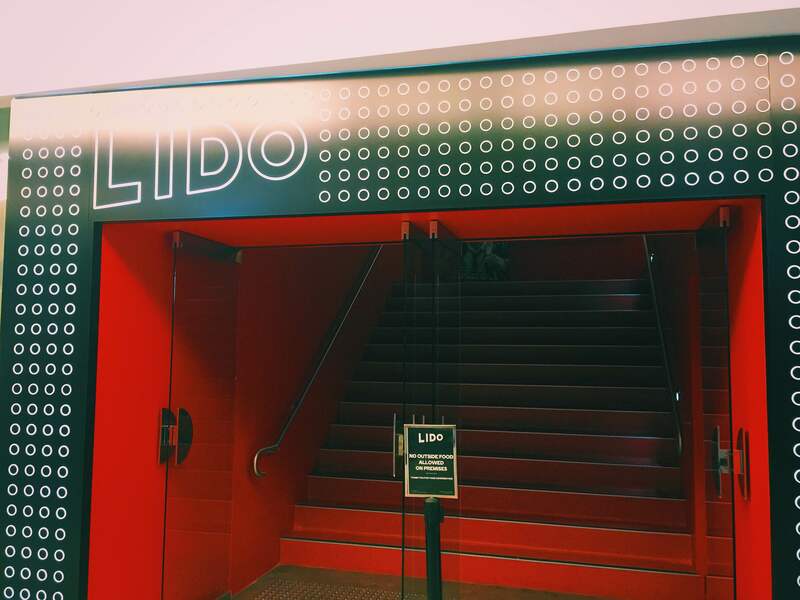 Even if you don’t go and see Ruben Guthrie, you should go and see something at the brand new Lido Cinema in Hawthorn. I believe it’s the result of many years of hard work from the team who currently own the Classic in Elsternwick and the Cameo in Belgrave, both excellent cinemas with offerings for the mainstream fans as well as ‘art house’ crowds. The Lido has managed to preserve many elements of the original 1930’s theatre, whilst giving it a modern facelift with bright paint, comfortable chairs and a fantastic food and drinks area in the foyer. The Lido also has it’s own jazz club on Friday and Saturday nights, and I hope to check that out sooner rather than later. I encourage you to become a member of the cinema; there are exclusive events and you’ll be the first to know about all the goings on – you also get $10 tickets for the first 3 months! Melbourne is fortunate to have several theatres that cater brilliantly to people who are passionate about movies and it’s so great to have this unique addition. You’ll no doubt find me back at the Lido very soon.